Space is a huge void where our earth and all the other planets live, including everything in the universe beyond the top of the Earth’s atmosphere – moon, sun, stars, milky way, black holes, etc. The Sun is over 300000 times larger than earth and the only source of solar energy on earth. Venus is the hottest planet in our solar system. Saturn, Jupiter, Uranus and Neptune are the gaseous planets, with rings on them, while earth is the only planet that supports life on it. Jupiter, Saturn, Uranus, Neptune and Earth have moons. The ISS, International Space Station, is an artificial satellite orbiting the Earth. This satellite is commanded by the United States, Russia, Japan and Canada and it is the largest artificial body in the orbit that can often be seen with the naked eye from Earth. USA, Russia, Canada, Japan, Austria, Belgium, Czech Republic, Denmark, Hungary, Ireland, Italy, Netherlands, Norway, Portugal, Romania and India have space stations where all space activities are monitored and regulated. Astronauts are the scientists who study and visit space in rockets. They wear a special space suit which protects them from the harsh environment of outer space. The first person to travel in space was Yuri Gagarin in 1961.While the first person on moon was Neil Armstrong in 1969. 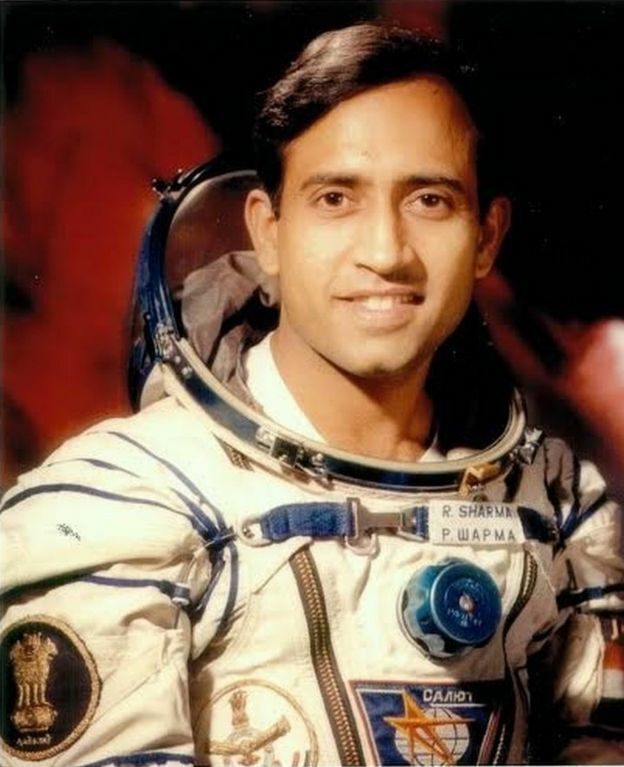 Rakesh Sharma was the first Indian to step on moon in 1984. Space science is continuously developing as the universe is so huge that it has yet not been explored completely.